Chlorophyll molecule . 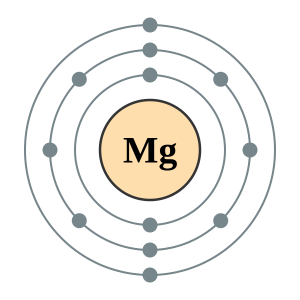 Central atom is magnesium. Magnesium is the central atom in chlorophyll which is the green pigment in plant foliage. Magnesium can act at the blood brain barrier to prevent the entrance of stress hormones into the brain. 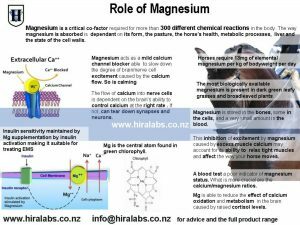 The biochemical relationship between magnesium and calcium is at the crux of preserving brain health and protecting the horse from the toxic effects of cortisol and the oxidation of calcium. Magnesium is nature’s own weak calcium channel blocker and is able to put the brakes on excessive flow of calcium ions into the brain and nerve cells. Magnesium is a critical co-factor required for more than 300 different chemical reactions in the body. The most biologically available magnesium is present in dark green leafy grasses and broadleaved plants. It is also present as an element in soils, seawater, bone and some metal composites. The main issue regarding supplemental magnesium is its bio-availability. This overused term, used as part of advertising hype does have some validity. 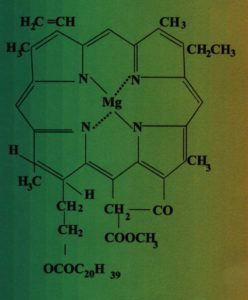 Remember the most bio available magnesium is the central atom found in the green pigment found in plants. Magnesium is stored in the bones, the rest in the cells, and a very small amount is roaming free in the blood which makes a blood test a poor indicator of magnesium status in the body. What is more crucial is the calcium/magnesium ratios. A stressed horse cannot move softly over the topline. So in summary magnesium exerts an effect on the calcium channel so it not only slows down the degree of brain/nerve cell excitement by calcium flow but also increases the forces within the cell that offset excitement leading to a better balance between these two forces. This inhibition of excitement(caused by excess muscle calcium) by magnesium may account for its ability to relax tight muscles. Inhibition of excess calcium through magnesium supplementation will affect the way your horse moves. Helps with energy production particularly if suffering from muscle weakness or tremors. While magnesium alone cannot be regarded as a toxin binder, it is able to help ameliorate the effects of mycotoxins. 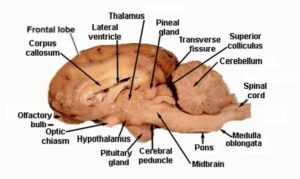 Horses that are really affected by these toxins would also need a true toxin binder along with omega oils, and supplements that will help restore brain and nerve fibre integrity. 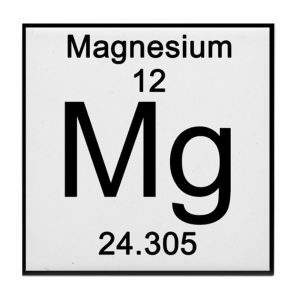 So how can we supplement with Magnesium? Horses require 13mg of elemental magnesium per kg of bodyweight per day. Chemists calculate the molar mass to get the ideal doses. The way a horse absorbs magnesium is dependant on its form, the pasture, its health, metabolic processes, its liver and the state of the cell walls ie the lipid layer which is maintained by essential fatty acids or omega oils. The following are forms that may be fed as supplements. MgCO3, or dolomite is not readily absorbed but does contain calcium. Now just 5.7% of dolomite is actually magnesium. This means a tablespoon of dolomite will deliver just 1 gram of magnesium. It is made up of about 80% calcium carbonate (of which, 23% is calcium), and 20% magnesium carbonate (of which 12% is magnesium) because it has calcium as well and that is as important as magnesium to maintain the correct ratios between the two. MgSO4 or Epsom salts the most easily absorbed but can cause scours and irritate the digestive tract. A mineral chelate is a form of magnesium containing an ion of magnesium oxide connected to a mixture of some other form of amino acid. This could be a lactate, a glycine, malate aspartate or arginate, etc. The best chelated amino acid form of magnesium is aspartate or arginate. Magnesium orotate. Both plants and animals use orotates to create DNA and RNA. Orotates can penetrate cell membranes, enabling the effective delivery of the magnesium ion to the innermost layers of the cellular mitochondria and nucleus. Magnesium pidolate, which is the magnesium salt of pidolic acid (pyroglutamic acid). This is found in some liquid forms of magnesium currently on the market. Magnesium ions. So what is an ion? Put simply it is the magnesium element Mg+ with an electrical charge and that is the most easily absorbed form of magnesium ie directly through the intestinal wall into the blood stream. We have magnesium ions in our magnesium tonic Anti-AL MAG which enables it to be readily absorbed through the digestive tract into the blood stream.